For other uses, see Country Dance (disambiguation). "Anglais" and "Engelska" redirect here. For the language, see English language. Introduced to France and then Germany and Italy in the course of the 17th century, country dances gave rise to the contradanse, one of the significant dance forms in classical music. Introduced to America by French immigrants, it remains popular in the United States as contra dance and had great influence upon Latin American music as contradanza. The Anglais (from the French word meaning "English") or Angloise is another term for the English country dance. A Scottish country dance may be termed an Ecossaise. Irish set dance is also related. However the most common formation is the "longways" set in which men and women form two lines facing each other. The "Roger de Coverley", which was for some time the only well-known country dance in England, and "The Grand Old Duke of York" are among the most familiar examples of this kind of dance. Couples form two lines along which each travels at the end of each iteration of figures, meeting new couples and repeating the series of figures many times. 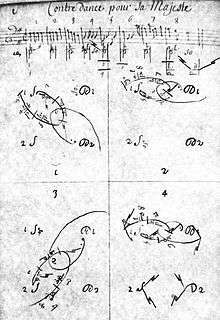 Alternatively, dances can be finite, a set forming an independent unit within which the series of figures is repeated a limited number of times. These dances are often non-progressive, each couple retaining their original positions. Country dancing is intended for general participation, unlike folk dances such as clogging, which are primarily concert dances, and ballroom dances in which dancers dance with their partners independently of others. Bright, rhythmic and simple, country dances had appeal as a refreshing finale to an evening of stately dances such as the minuet. A village country dance - engraving by Abraham Bosse, 1633. Country dances began to influence country dance in the 15th century and became particularly popular at the court of Elizabeth I of England. Many references to country dancing and titles shared with known 17th-century dances appear from this time, though few of these can be shown to refer to English country dance. While some early features resemble the morris dance and other early styles, the influence of the courtly dances of Continental Europe, especially those of Renaissance Italy, may also be seen, and it is probable that English country dance was affected by these at an early date. Little is known of these dances before the mid-17th century. John Playford's The English Dancing Master (1651) listed over a hundred tunes, each with its step. This was enormously popular, reprinted constantly for 80 years and much enlarged. Playford and his successors had a practical monopoly on the publication of dance manuals until 1711, and ceased publishing around 1728. During this period English country dances took a variety of forms including finite sets for two, three and four couples as well as circles and squares. The country dance was introduced to the court of Louis XIV of France, where it became known as contredanse, and later to Germany and Italy. André Lorin, who visited the English court in the late 17th century, presented a manuscript of dances in the English manner to Louis XIV on his return to France. In 1706 Raoul Auger Feuillet published his Recüeil de Contredances, a collection of "contredanses anglaises" presented in a simplified form of Beauchamp-Feuillet notation and including some dances invented by the author as well as authentic English dances. This was subsequently translated into English by John Essex and published in England as For the Further Improvement of Dancing. 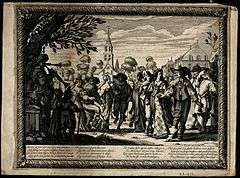 By the 1720s the term contradanse had come to refer to longways sets for three and two couples, which would remain normative until English country dance's eclipse. The earliest French works refer only to the longways form as contradanse, which allowed the false etymology of "a dance in which lines dance opposite one another". The square-set type also had its vogue in France during the later 18th century as the quadrille and the cotillion. These usually require a group of eight people, a couple along each side. "Les Lanciers", a descendant of the quadrille, and the "Eightsome Reel" are examples of this kind of dance. Dancing in square sets still survives in Ireland, under the name "set dancing" or "figure dancing". For some time British publishers issued annual collections of these dances in popular pocket-books. Jane Austen, Charles Dickens and Thomas Hardy all loved country dancing and put detailed descriptions into their novels. But the vogue for the waltz and the quadrille ousted the country dance from English ballrooms in the early 19th century, though Scottish country dance remained popular. The French contredanse, arriving independently in the American colonies, became the New England contra dance, which experienced a resurgence in the mid-20th century. The quadrille evolved into square dance in the United States while in Ireland it contributed to the development of modern Irish set dance. English country dance in Scotland developed its own flavour and became the separate Scottish country dance. English Ceilidh is a special case, being a convergence of English, Irish and Scottish forms. In addition certain English country dances survived independently in the popular repertoire. One such is the Virginia Reel, which is almost exactly the same as the 'Sir Roger de Coverley'. 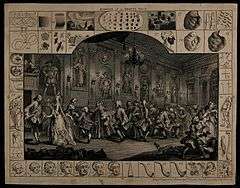 The contradanza, the Spanish and Spanish-American version of the French contradanse, became an internationally popular style of music and dance in the 18th century. The contradanza was popular in Spain and spread throughout Spanish America during the 18th century, where it took on folkloric forms that still exist in Mexico, Venezuela, Colombia, Peru, Panama and Ecuador. In Cuba during the 19th century the contradanza became an important genre, the ancestor of danzon, mambo and cha cha cha. Haitians fleeing the Haitian Revolution of 1791 brought to the Cuban version a Creole influence and a new syncopation. 4. Its name comes from the adoption in Scandinavia of English country dances and contra dances in the early 19th century. 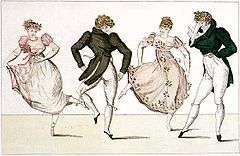 In Denmark the description "Engelsk" was used for both line and square dances of English origin. 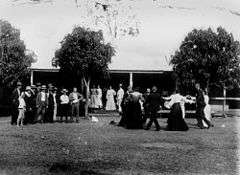 Only due to the efforts of Cecil Sharp, Mary Neal and the English Folk Dance and Song Society in the late 19th and early 20th century did a revival take place, so that for some time schoolchildren were taught country dances. In the early 20th century, traditional and historical dances began to be revived in England. Neal, one of the first to do so, was principally known for her work in ritual dances, but Cecil Sharp, in the six volumes of his Country Dance Book, published between 1909 and 1922, attempted to reconstruct English country dance as it was performed at the time of Playford, using the surviving traditional English village dances as a guide, as the manuals defined almost none of the figures described. Sharp and his students were, however, almost wholly concerned with English country dances as found in the early dance manuals: Sharp published 160 dances from the Playford manuals and 16 traditional village country dances. Sharp believed that the Playford dances, especially those with irregular forms, represented the original "folk" form of English country dance and that all later changes in the dance's long history were corruptions. This view is no longer held. The first collection of modern English country dances since the 1820s, Maggot Pie, was published in 1932, though only in the late 20th century did modern compositions become fully accepted. Reconstructions of historical dances and new compositions continue. Interpreters and composers of the 20th century include Douglas and Helen Kennedy, Pat Shaw, Tom Cook, Ken Sheffield, Charles Bolton, Michael Barraclough, Colin Hume, Gary Roodman, and Andrew Shaw. ↑ Wilson, Thomas (1808). An Analysis of Country Dancing. London: W. Calvert. ↑ Aldrich, Elizabeth (1998). "Transition From Renaissance Dance To Baroque Dance". Western Social Dance: An Overview of the Collection. The Library of Congress / American Memory. Archived from the original on 17 December 2007. Retrieved 2007-12-18. ↑ "Music Dictionary : An - An". Music Dictionary Online. Dolmetsch Online. Retrieved 2007-12-18. 1 2 3 4 Percy A. Scholes, The Oxford Companion to Music, O.U.P. 1970, article Country dance. ↑ Wood, Melusine (December 1937). "Some Notes on the English Country Dance before Playford". Journal of the English Folk Dance and Song Society. 3 (2): 93–99. ↑ Cunningham, J. P. (December 1962). "The Country Dance: Early References". Journal of the English Folk Dance and Song Society. 9 (3): 148–154. 1 2 Thurston, Hugh (December 1952). "The Development of the Country Dance as Revealed in Printed Sources". Journal of the English Folk Dance and Song Society. 7 (1): 29–35. ↑ Sharp, Cecil (1924). The Dance: An Historical Survey of Dancing in Europe. ↑ "History of Cuban Music". Retrieved 19 January 2014. ↑ "Enkel Engelska © 1997 by SMF". Folkdancing.com. Retrieved 2013-12-09. ↑ "Dansk Spillemansmuik (1660-1999)" (PDF) (in Danish). Nodenek.dk. Retrieved 2013-12-09. ↑ Walkowitz, Daniel J. (2010). City Folk: English Country Dance and the Politics of Folk in Modern America. New York University Press. ↑ Sharp, Cecil J. (1911). The Country Dance Book, Part II. Novello and Company, Ltd.
↑ "Maggot Pie". Retrieved 18 November 2012. A multi-edition transcription of Playford's The Dancing Master, compiled by Robert M. Keller, hosted by the University of New Hampshire's New Hampshire Library of Traditional Music & Dance. A transcription of the first edition of Playford's The Dancing Master. The Colonial Dancing Master Books and recordings. Bay Area Country Dance Society promotes, preserves, and teaches traditional English and American music and dance in the San Francisco Bay area. CD NY Country Dance New York holds weekly dances in New York City. Country Dance and Song Society is a United States umbrella organization whose members enjoy English dance. Country Dance*New York runs English and contra dance events in New York City. Country Dance Society, Boston Centre runs English and contra dances in Boston, Massachusetts, USA. Ann Arbor Community for Traditional Music and Dance is an umbrella organization whose sponsored events include English and American music and dance in Michigan. Dover English Country Dancers runs English dances in Dover, DE, USA & presents demonstrations at festivals & historic sites in MD & DE. Earthly Delights Historic Dance Academy run dance classes and balls in Australia, as well as a Shakespeare Dance & Music Festival, Baroque Dance Weekend, Jane Austen Festival Australia and Yarrangobilly 19th Century Dance Retreat. ECD around the United States A list of English dance series. English Folk Dance and Song Society has an online shop selling books and compact disks. Felpham & Middleton Country Dance Club has written a history from 1933–1994, just about one of the oldest extant English Country Dance clubs in England. Society for Creative Anachronism practices many English country dances in a historical context. The Leesburg Assembly is an English Country Dance community centered in Northern Virginia, USA. The Victoria English Country Dance Society is a group of friendly people who gather once a week to dance in Victoria, BC, Canada. Live music is provided by The Dancehall Players.